On August 3, 2017, LTSC began a new chapter in the campaign to bring a multipurpose sports facility and community center to Little Tokyo. A large crowd of supporters, funders, lenders and elected officials gathered on the future site of Budokan for the long awaited groundbreaking ceremony. The event featured stirring words from numerous contributors to the project, taiko and ukulele performances and an aikido demonstration by Consul General Akira Chiba. Budokan construction will begin in late-September and completion of the project is expected in 2019. LTSC continues to seek contributions to stay on target. The organization will shift into phase two of its fundraising, an endowment campaign to ensure the ongoing sustainability of the facility. Please click here to support Budokan. Mitsubishi Electric US, Inc. pledged to donate a solar power system to LTSC for Paul I. Terasaki Budokan. The system will provide the new multipurpose sports facility and community center with a sustainable power source as well as significant cost savings. Over the course of 25 years, the panels are expected to produce over 1,600 megawatt hours of electricity. It is estimated that the energy produced from the solar installation will save LTSC more than $366,000. 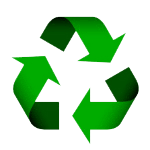 From an environmental stewardship standpoint, use of the solar panel system equates to cutting 751 tons of green house gas emissions, removing 143 cars from the road, or planting nearly 17,500 new trees. 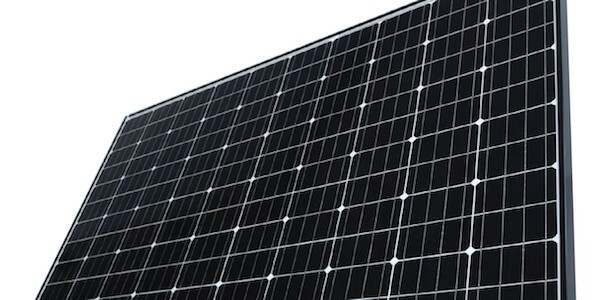 GRID Alternatives Greater Los Angeles, a green technology nonprofit, analyzed the Budokan solar power options. Their technical analysis was essential to moving forward the rooftop solar design, which will offset a significant portion of the electricity consumed by the building. Last month, LTSC held its 11th Annual Sake and Food Tasting Event “Sake at First Street North, Little Tokyo.” Over 800 guests enjoyed sake from various regions of Japan and delicious cuisine at First Street North, a historic block that LTSC deems critical to the future of the Little Tokyo neighborhood. LTSC’s signature event raises funds for a broad array of the organization’s programs that promote “positive change for people and places.” This year’s event featured small plates from 15 top Los Angeles restaurants and over 50 types of sake. 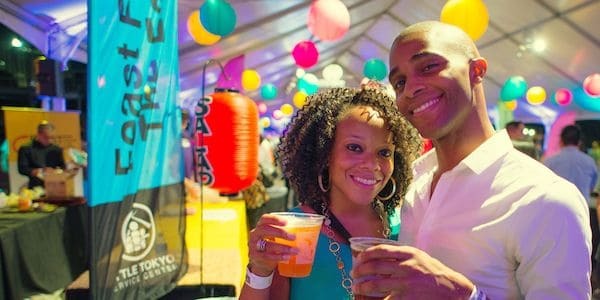 Photos from “Sake at First Street North” can be viewed on LTSC’s Facebook page. Thank you to supporters, participants and volunteers for another successful event. Guests at LTSC’s Annual Sake and Food Tasting Event were treated to an impressive multimedia display on the topic of Little Tokyo’s First Street North. Home to several iconic businesses and institutions, the First Street North block is now threatened by impending development. +LAB, LTSC’s creative community development project, collaborated with yaknowlike studios and Form follows Function to complete an installation to draw attention to the important community issue and inspire guests to re-imagine First Street North. 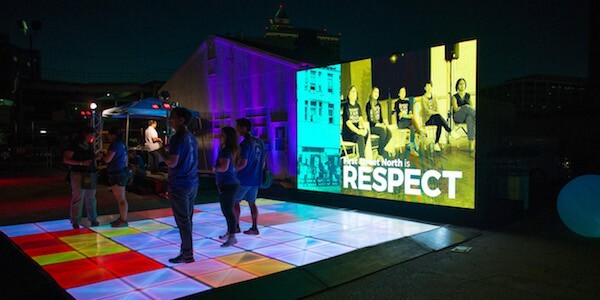 The installation included a video loop, shown on a 16 feet by 9 feet screen, and an LED floor, designed to encourage guests to view and interact with the film. In addition, the installation featured a series of large glowing orbs, which served to illuminate campaign messages. An LTSC program that links up youth with UCLA mentors celebrated its 20th anniversary in July. The Casa Heiwa Angelino Mentorship Program (CHAMPs) serves youth ages 5-18 years old, living at LTSC affordable housing apartment buildings in Little Tokyo and Temple-Beaudry community. 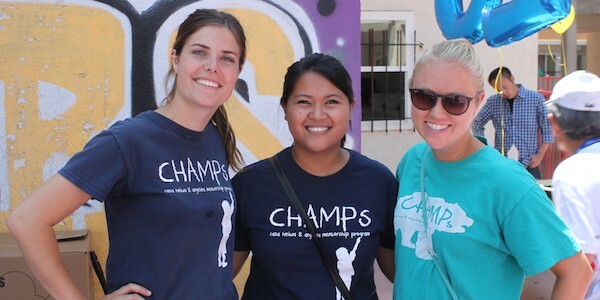 CHAMPs mentors guide and build relationships with young students through various activities, including college visits, barbecues, and visits to local landmarks. Twenty-five current and former mentors, including pioneers of the program, attended the event. They joined current and former program participants for the opportunity to catch up, share great memories and talk about how the program has touched their lives. Over 50 students from LTSC affordable housing units participated in Olympic Day events at Will Rogers State Beach. The events were organized by the LA84 Foundation, a leader in supporting youth sport programs and public education about the role of sports in positive youth development, and the LA 2024 bid committee. 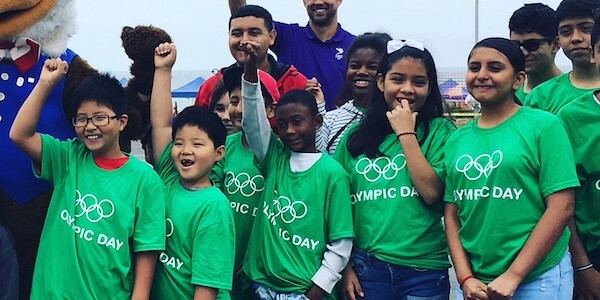 LA84 and the LA 2024 bid committee invited youth to participate in activities designed to promote LA’s (now successful) bid to host the Olympics. Around 30 Olympic athletes joined youth in various sporting activities and also served lunch to participants. 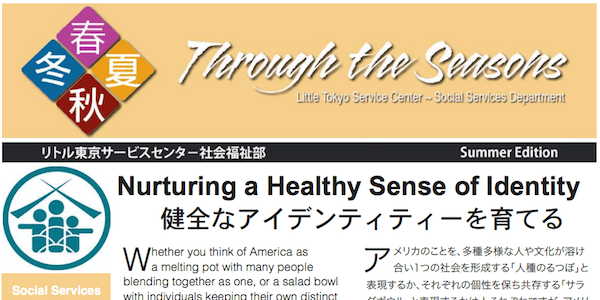 Living in a diverse society often forces us to discover who we really are and wrestle with questions like “Why do I behave this way?” or “Why do I think in that particular way?” The summer 2017 installment of the LTSC’s Social Services newsletter Through the Seasons explores culture and identity. Read more on page 1. 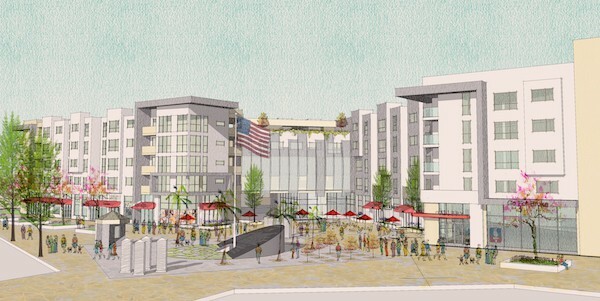 LTSC and Go For Broke National Education Center are partnering to build 149 units of affordable housing in Little Tokyo for veterans, working families and homeless families. Go For Broke National Education Center’s mission is to raise awareness about the WWII American veterans of Japanese ancestry in the 442nd Regimental Combat Team, the most decorated unit for its size and length of service in the history of American warfare. The Go For Broke Apartments is a component of the Sustainable Little Tokyo community vision for First Street North. In addition to housing, the project will have commercial spaces, exhibits, community areas and retail spaces. LTSC is fortunate to have Capital One as a partner on this project. Capital One is committed to working with its nonprofit developer partners to create affordable housing and provides philanthropic support, loans and technical assistance. LTSC is a recipient of this support and was awarded the 2017 Capital One Blueprints to Buildings Fund grant. The award includes a cash grant and access to a line of credit to help move the affordable housing project towards completion. 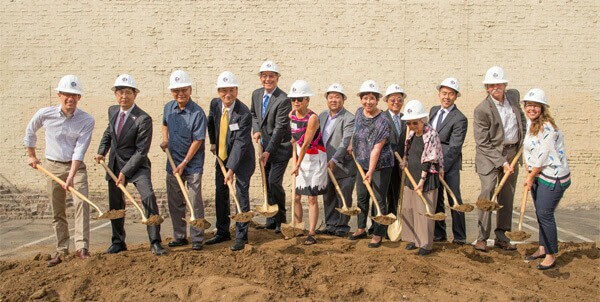 LTSC would like to thank Capital One for its support of this important project in the heart of Little Tokyo. 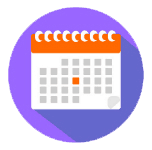 Hold your next event close to public transportation and encourage your guests to take the train or ride their bicycles. The Moriguchi Family, Uwajimaya, Inc.